It’s my SITS day I’m celebrating with an impromptu dance in my living room. Ok. No dancing. Mostly because it’s not pretty and it’s freaking out the cat a little. But today really is my SITS day! I’ve waited so long for this day and now it’s finally here! I feel like a kid on Christmas morning . \What is SITS, you ask? It’s only the most awesome blogging network of women bloggers on the web – 40,000 women to be exact (or close to it, at least). I’ve met so many wonderful bloggers through SITS and have learned a lot about blogging, writing and networking, which is way easier than my usual schooling method – trial and error and wine (although I’ve done a lot of that, too). If you’re new here, welcome! I’m a 30-something momma to an adorable, sweet, and sometimes overly dramatic 2-year-old diva and an undomesticated wife to my very patient husband. I started this blog after trading in my career as a public relations strategist for the role of boogie wiper, booboo fixer and toddler entertainer. Although working in an advertising agency is uber stressful, it doesn’t hold a candle to the stresses of being a stay-at-home mom. But I wouldn’t change it for the world. While you’re here, pour yourself a drink and settle in for my take on parenthood, including my hatred of Mickey Mouse and love of red wine. For a taste of what my blog is all about, below are five entries that I think do a great job of capturing the craziness of Motherhood on the Rocks. Have a fabulous SITS Day! Hopping over from SITS. As they say, motherhood is the hardest yet most rewarding job on the planet! I have 3 kiddos, so I’m inclined to agree. 🙂 Best of luck to you as you raise yours! What a great blog! Okay… what’s your secret for driving traffic? It’s not even a year old and you have impressive stats! 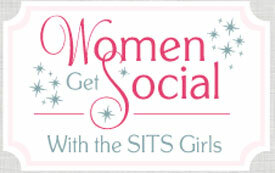 So happy to find your blog through SITS! Wishing you lots of comment love on your special SITS Day! Happy SITS Day! Sadly, it’s to stinkin’ early to pour a a drink, plus I have to work, but I will join you over a cup of coffee! I hope you have a truly wonderful SITS day! I always order my margaritas on the rocks with salt! 😉 Congrats on your SITS day! A woman after my own heart! That’s the only way I’ll drink them. And boy are they delicious! Happy SITS day! 🙂 Truly, being a stay at home is a hard job. I didn’t go into motherhood too happy with my firstborn, but now I am accepting it, and it’s really growing on me. We have our third child on the way in March. Our first girl. 😉 Should be interesting. ha! I sing that damn song all day long in my head. I’m like what the heck?! I hope you have a great SITS Day! Happy SITS Day! Looking forward to reading through many of your posts. Enjoy your day! Hope you have an absolutely fabulous SITS day! Can’t wait to look around! Congrats on your SITS Day….Enjoy the limelight! I was browsing your blog and love the alphabet photography!! I definitely plan to visit that website! Happy happy SITS day to you! Hope you have a great day and enjoy all the limelight and extra attention! Thanks, Charlotte! My designer is super awesome! Happy Happy SITS Day! Your blog is beautiful! Happy SITS day!! You have a fun blog 🙂 I hope you enjoy your day!! Happy SITS Day to you and I hope you have a great day. Enjoy the comments and the love! I am a new reader and a fellow blogger as well! First of Happy SITS Day! I am also a mother that quite my full-time job to be a stay at home mom. Some days I feel like ripping out my hair (I am sure we all do), but I wouldn’t change it for anything. I am also curious as to why you hate Mickey Mouse so much! I will continue to read your posts and I look forward to getting to know! Happy SITS day again! Love your post on tantrums! I can so relate! Love your style and wit! Can’t wait to read more! Loved reading about your little diva! I have one of my own. 😉 Happy SITS day! Hi!! Well Congrats again on your SITS day!! I love your blog and the pictures (and the title)!! So cool! Happy SITS Day! Happy SITS day! I’d trade my stay at home mommyhood for a day in advertising ANY DAY. Ok – I just love your header. Do you change it with the seasons? If so that’s awesome! I kinda love holiday decorating. Gonna go look around. Happy SITS day! Thanks! I do change it out for the seasons and holidays. My designer did a really awesome job. You can find the link to her at the bottom of my page. Thanks again! Congrats on your SITS day! Heading out to check some of your other posts! Love your voice, your attitude, and your respect for red wine! lol! Gotta love red wine! Thanks, ladies! I just got done reading through everyone’s comments and feel so lucky to be a part of this amazing community! Hugs to everyone! I hope you’ve had Mickey Mouse available for “the addict” in your house. Because maybe then, you can read your SITS Girls Day Featured Blogger comments! LOL! Sending you lots of wonderful comment-love ju-ju! I saw this in my email this morning!! Congrats to you! WOOT!! !